As usual the Galaxy S flagship is followed by its lesser version that has strpped down features and size. This is usually to give a cheaper and smaller option for buyers who may feel that the flagship of the year is either large for them or pricey. 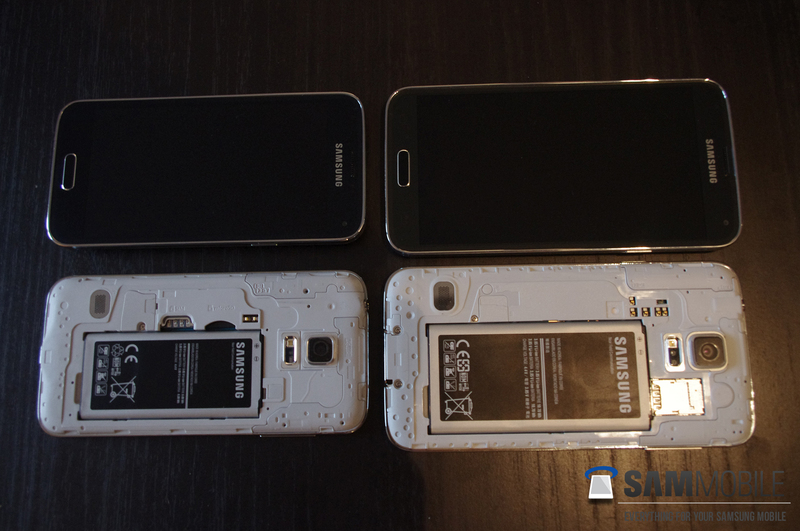 Now the Galaxy S5 mini specs are already leaked, including images of the same, so this isnt like breaking. What we have here is a side by side comparison in size to show the physical similarities and differences. It’s clear the two used the same design language and had several features carried on to the smaller sibling. Galaxy S5 mini is said to be specc-ed at 4.5 inches. Let’s detail the full specs in a list, see below. The Galaxy S5 mini could be released at an event soon in South Korea, not sure which one this could be but hey! It’s definately coming. Does this look like something you want to buy?